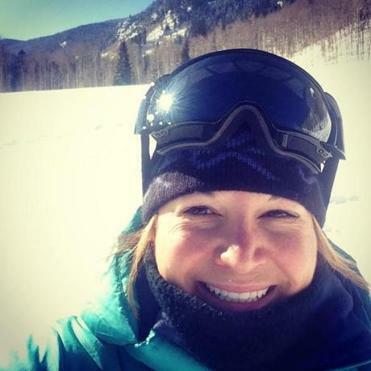 Photo courtesy Boston Beer Co.
Jennifer Glanville takes a couple trips to Colorado each year to ski. 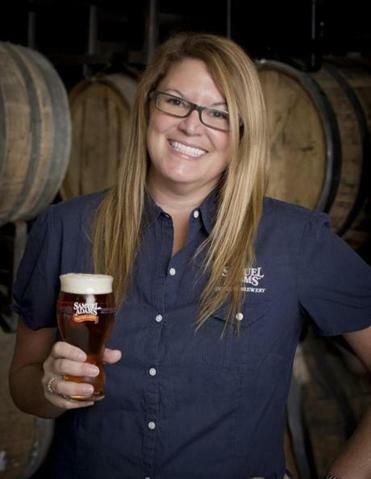 Jennifer Glanville is a brewer and director of brewery programs at Boston Beer Co., makers of the popular Samuel Adams line of beer. Skiing is very much a part of her very fabric – her parents met in an airport while both were on their way to go skiing in Colorado (she’ll tell you the full story below). She shared a closer look at her interest in the sport, as well as her advice for the perfect beer for apres-ski. What are you riding on these days? Favorite New England ski area? There are so many great ski areas in New England, there are too many to pick a favorite! My parents actually met at O’Hare airport, as they were both on their way to ski in Aspen. There was a long layover due to a snow storm, and my Dad was having beers with his buddies when he met my mom. For him it was love at first site, for her it took a few New England ski dates to be convinced. The winter after I was born, they had me on the slopes - my Dad carried me down, and as I could walk I was on these tiny little skis that were probably just about 24 inches. Each trip is special and unique and of course always ends with a cold Sam Adams in hand. I absolutely love the Green Mountains and try to visit Colorado a few times a year. Sometimes it’s great to cruise fast down a packed powder run but I am big fan of steep runs and bumps. It might not always be pretty, but it is sure a ton of fun! Favorite people to ski/ride with? My family – especially my nieces and nephew…they have no fear and follow me down anything. I also love skiing with fellow craft beer lovers. There is nothing better than toasting with friends and a great beer after a long day on the slopes. Do skiing & professional life ever intersect? As a brewer, a big part of my job is constantly tasting beer, so thanks to après ski beers my professional life and skiing intersect all of the time! I have done sampling events and beer dinners at different lodges and mountains and have been fortunate enough to get out to Vail for Big Beers, Belgians, & Barleywines every winter – which is always such a great weekend. What’s the best Sam Adams brew for après-ski? That is a very tough question – last year alone, we brewed over 60 beers! If I had to choose, it would have to be my favorite - Samuel Adams Boston Lager. This beer is the perfect balance of hops and malt and the beer I seek out after a day on the mountain. Our Samuel Adams Winter Lager is also a great beer for après-ski. This dark, wheat bock is spiced with fresh ground cinnamon, ginger and orange peel, and has a lingering warmth, which is perfect after a cold day on the slopes. Have a suggestion for an “I’m a skier/snowboarder” profile? E-mail matt.pepin@globe.com. Follow Matt Pepin on Twitter at @mattpep15.